Ed Boon teased that there would be a few reveals during the C2E2 convention today and he definitely wasn’t wrong. In fact, a long time staple of the Mortal Kombat series, Shang Tsung, was shown off and announced as the first DLC character. 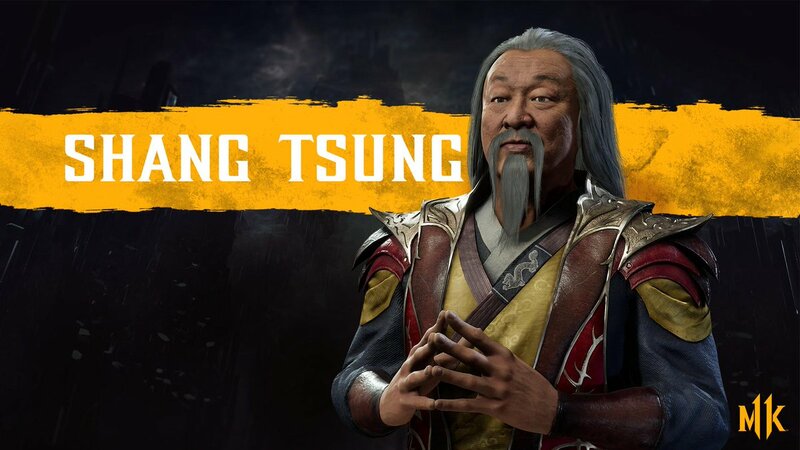 Not only is Shang Tsung returning to the line-up, but the character is also being voiced by none other than Cary-Hiroyuki Tagawa. Or as many of you will remember him as the original actor who played Shang Tsung in the first Mortal Kombat movie. How freaking awesome is that? However, and I have to add this bit, don’t hate me. Why is a character who has always been part of the original roster, now a DLC character? He’s been a base character on the roster since the first Mortal Kombat game. Mortal Kombat 11 marks the first time he’s been announced as a DLC. Sure, I loved the reveal, but why is he DLC now? I’m bummed about this about if I’m being completely honest. Secondly, I love the character model, but I would have loved to see some gameplay as well. We’ve seen just about every reveal include some gameplay. We want to see the dangerous sorcerer in action. That all said, I’m still holding out for Mileena or a Kitana reveal. We can’t have a proper MK game without one of the other. Mortal Kombat 11 releases on April 23, 2019, for the PS4, Xbox One, Switch, and PC. A beta will take place next week from March 28 – 31, 2019, for all everyone that pre-ordered the game.